Grinding Gear Games has spent countless hours doing their best to make a truly unique game and one of their most unique features is the Passive Talent Tree. 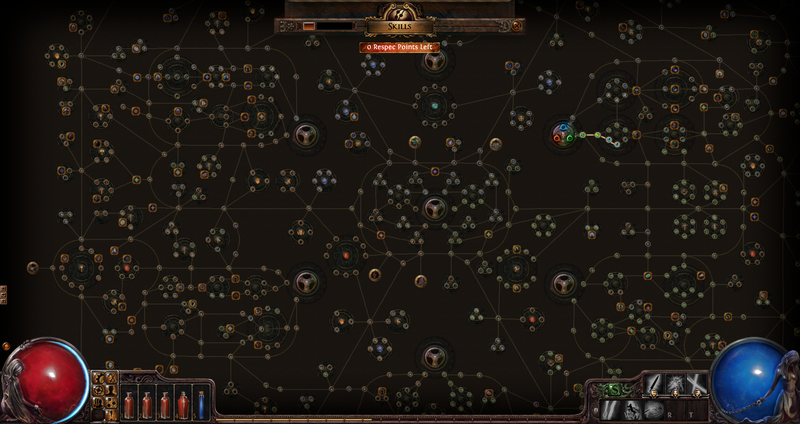 The Passive Talent Tree is a vast network of skills that branch off from your class’s core attributes. to be exact, there are 1350 skills in the talent tree that make your character an individual. 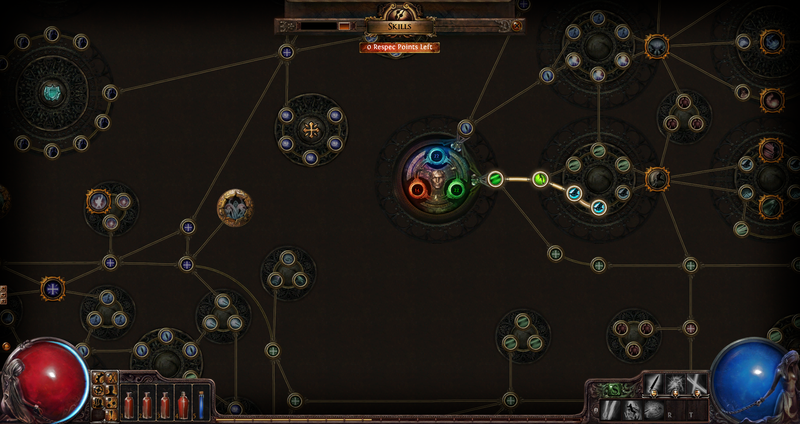 While some builds may be better than others, you follow your own path while in exile. At first glance, the talent tree can seem overwhelming, however, once you have started using it, you find that it is very easily to become accustomed to and is very user friendly. Each skill on the tree has a tooltip display on mouse-over that explains what the ability does. The best part? As this is a passive talent tree, all of the abilities are passively active and you never have to worry about putting them on hot bars or activating certain abilities. With the variety of skills and paths that you can take, your character is your own. You can choose to improve your core abilities, or journey across the skill tree to unlock abilities that may or may not necessarily fit your class archetype. No two characters need be alike. Grinding Gear Games has also put a nice interactive Passive Skill Tree on their website, allowing you to customize your tree to see where your decisions will take you. The Passive Talent Tree is truly a first of its kind talent system that has not been presented on this scale in any recent games. Having the ability to take your class exactly the way you want to helps make Path of Exile the excellent game that it is.